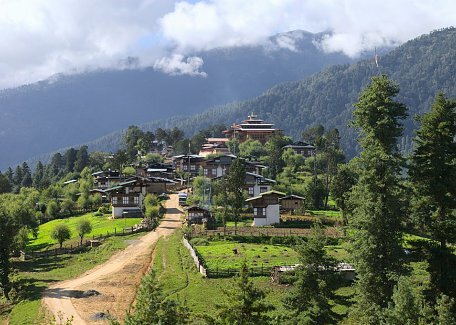 Pristine and picturesque Phobjika valley is one of the highlights of the every Bhutan visit. 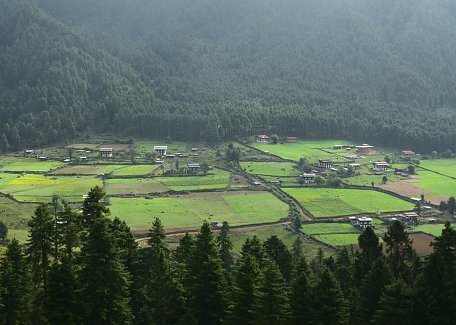 It's a part of Wangdue district but apart from the rest of Wangdue it's in quite high elevation of about 2800 meters. 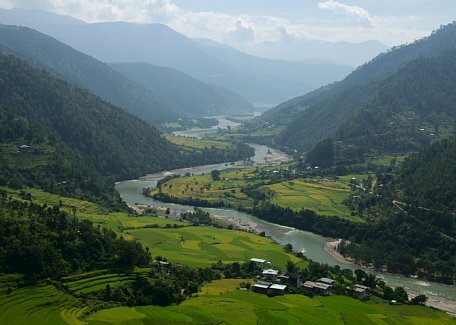 Rare black neck cranes do spend winter in the valley's marshland. 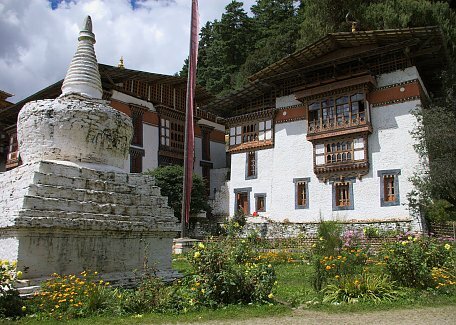 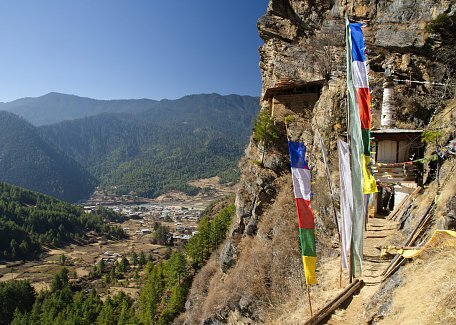 Historically important Gangtey gompa monastery is dominating the valley. 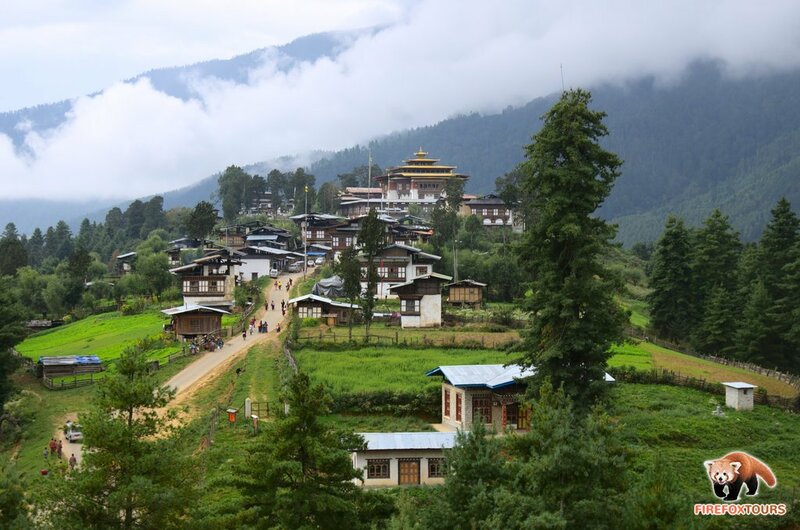 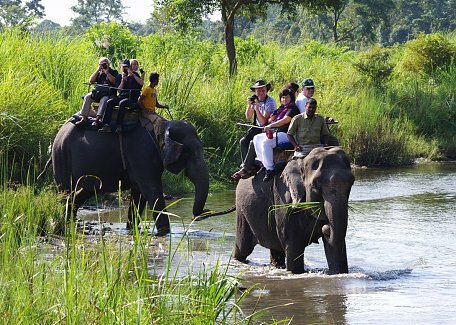 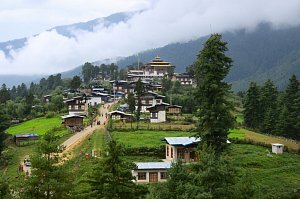 There is number of nice hikes you undertake form here and welcoming farmhouses to try local delicacies or hot stone bath, famous Bhutanese treat.